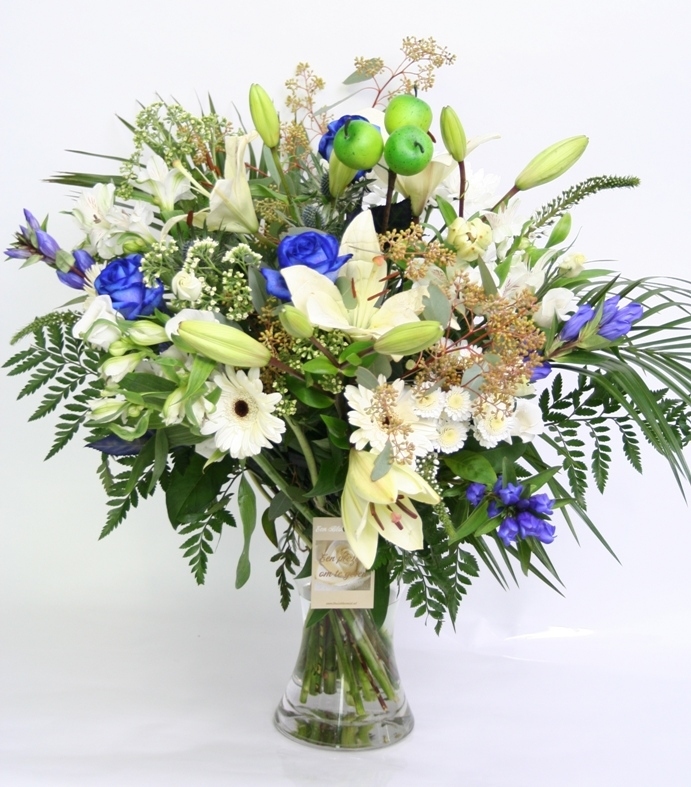 dark blue flowers and is a truly refreshing original appearance. 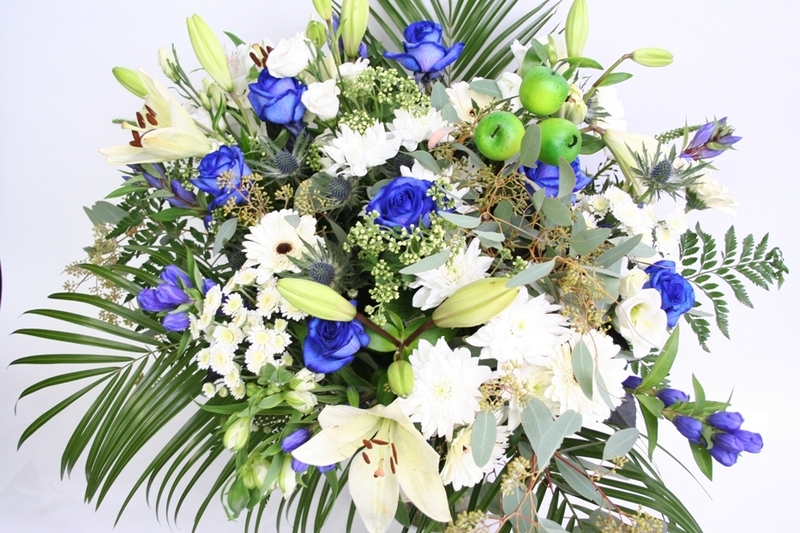 natural blue flowers and blue-painted Roses and luxueux foliage. white Germinis and beautiful luxueux foliage.